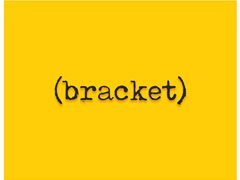 (bracket) is a short 3-part series following three friends as they each go through their individual struggles in their personal life. Each episode will follow the individual characters and will focus on themes like mental health and parental neglect. Expenses : Travel expenses will be paid. Adam is Kajus' boss who is sick of Kajus and his friend, Sola always being late for work. When he learns Kajus' is late for work again, Adam is not happy. Actor will be needed for a short but effective scene in the series.